I don’t have much of a comment for this one. It’s just that asinine. Random Fact: There are a ton of other, less vilified activities that also increase your chances of arthritis: knitting, cross-stitching, carving, cooking and nearly EVERYTHING ELSE that require using your hands for work that requires fine motor skills. That is the most excited Peter Griffin has ever been about a salad. 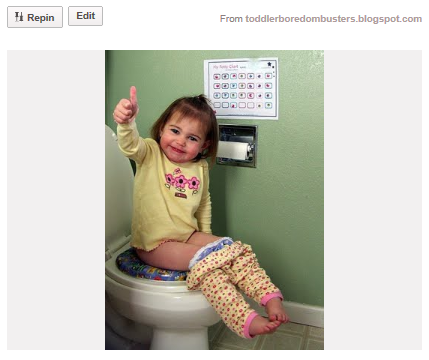 Pooping is a “toddler boredom buster”? On a serious note: Really, Pinterest? Is this supposed to be a proud declaration? Because it seems pretty terrible to me. I never understood why Christianity likes to parade its savior around on his death machine. It’d be like someone showing their love of a modern-day idol with a necklace with him in an electric chair.